Nairobi City hall goes broke, Governor Sonko requests a Loan from the CS Treasury Henry Rotich. - Governor Mike Sonko - Bana Kenya News, Real African Network Tubanane. Nairobi county treasury is broke and county workers are marking time to down their tools. 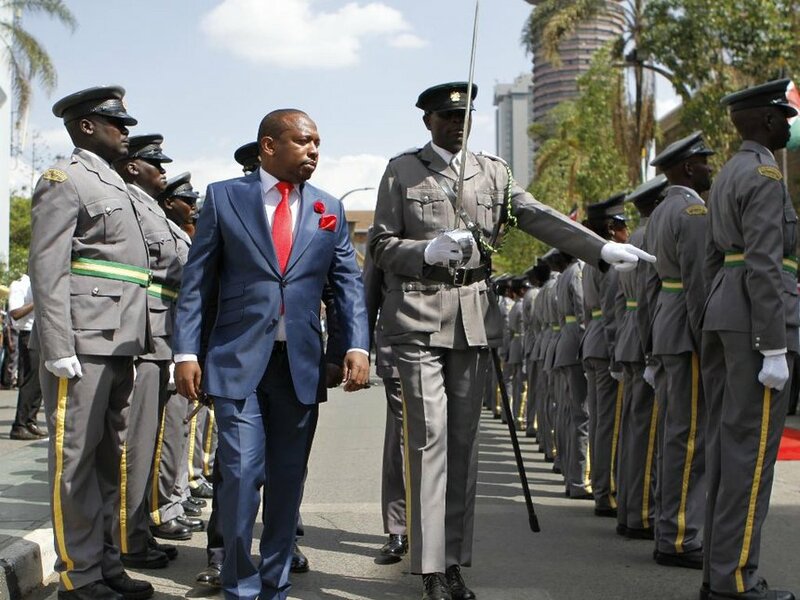 The Nairobi Governor Mike Sonko has urged the workers to stay in office as he is in talks with the National Treasury. The Nairobi county is left with a deficit after the Nairobi governor claimed to have paid debts. The Nairobi Governor who flushed of the county levies to the small business people has been hit with almost a one Billion deficit just three months after he was sworn in. The county also requested the Treasury to loan it Sh800 million to clear an overdraft it took from a commercial bank. Acting county secretary Leboo Morintat asked Treasury CS Henry Rotich to release Sh1.2 billion being equitable share for September. The letter was also signed by acting head of county treasury Stephen Mutua and acting chief finance officer Ekaya Alumasi. The county also requested the Treasury to disburse an advance of October equitable share of Sh1.29 billion to pay the workers their October salaries. "Additionally, the county requests for a further credit facility of Sh800 million offset the current expensive interest cost on overdraft facility at Cooperative Bank of Kenya." The over 13,000 county employees have threatened to down tools over the pay delay. The county's wage bill stands at Sh1.2 billion per month. "It is unfortunate that the delay has been occasioned by sabotage in the Finance Department led by the outgoing Finance CEC." "He has deliberately refused to make a formal request to the Controller of Budget to release funds on time," Sonko said. The governor, however, said that he had already met CoB chair Agnes Odhiambo who agreed to authorize the disbursement of the funds. "It is, therefore, my sincere hope that the county staff will bear with us during this difficult period as we await approval from the Controller of Budget. Efforts are being made to ensure such delays do not re-occur in the future," he said. The looming county workers strike comes after the CoG Josphat Nanok requested the National Treasury Cabinet Secretary Henry Rotich to give out the county funds. Many governors have been talking to the CS Treasury Henry Rotich over the heating strikes from the majority of the counties. Nairobi county governor Mike Sonko has accepted the fact that there is no money in county hall and wrote a letter for a loan from the National Treasury.